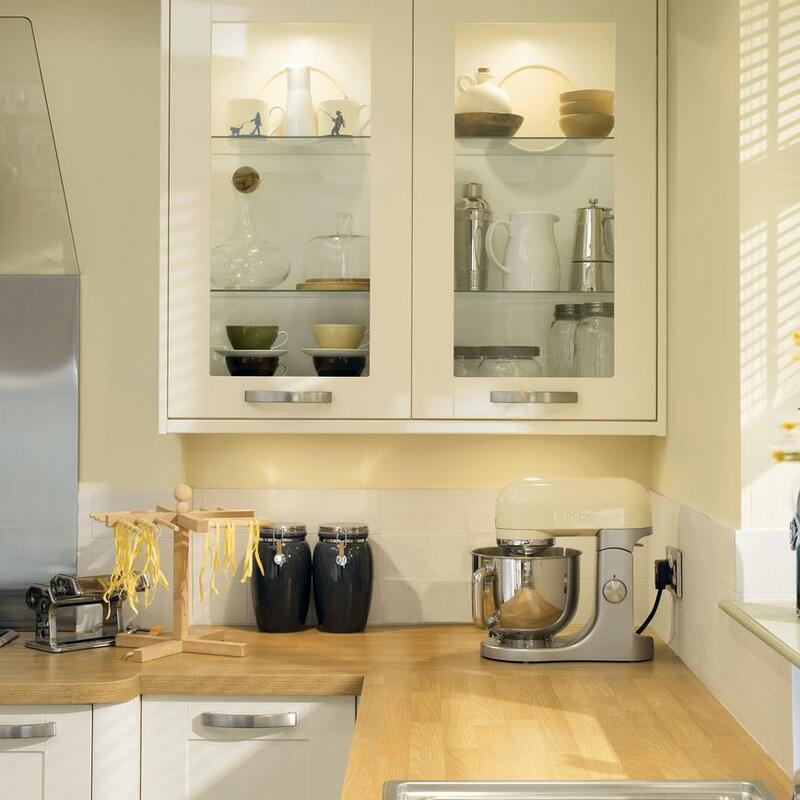 Display all those treasured items in glass fronted wall cabinets using glass shelves. 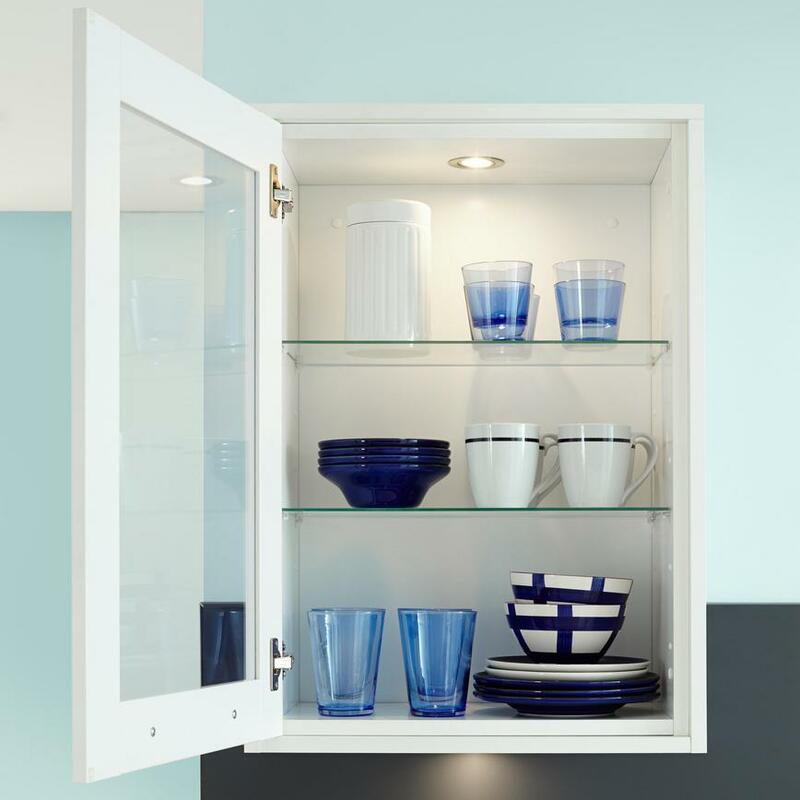 Pick up some internal glass shelves for use in your glass fronted wall cabinets. These are a great place to display the items you want on show and, because they are clear, will help to retain an uncluttered and light feel. Install some spotlights and your cabinets will really become a focal point.